Ten important things everyone should have in their life. 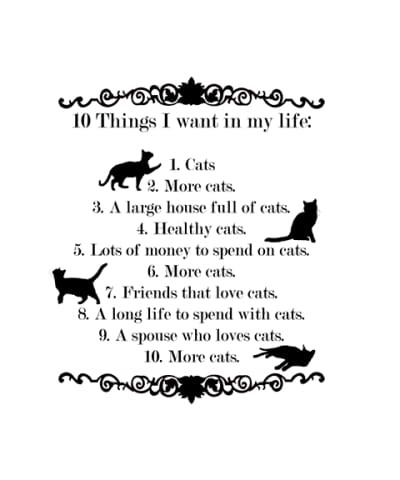 Of course it includes cats, cats and more cats! 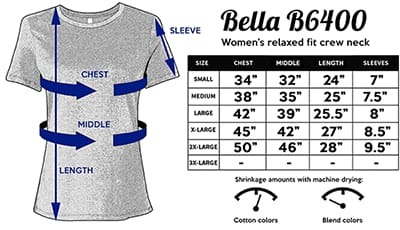 Please check size chart against your actual measurements! Every article of clothing measures a little differently. If you choose the wrong size it ends up costing the cats money to deal with exchanges. 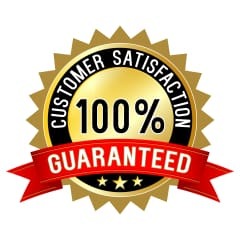 IMPORTANT INFO: In order to offer a wider selection of merchandise, this item is produced by our vendor and shipped directly from their facility. This item may be custom made to order and may take 2 -3 weeks to receive. This item is not shipped directly from Big Cat Rescue and will arrive separate from the rest of your order. Your satisfaction is guaranteed as long as you carefully measure yourself and compare it to the chart above for a good fit. The profit from this sale is used for protecting cats but refunds and exchanges mean there is nothing left for them, so please be careful in your selection process during ordering. Thank you! Carole’s Promise to You: As the founder and CEO of Big Cat Rescue I have curated the shop so you can find the greatest cat themed gifts and support the protection of cats, from tabbies to lions & tigers with your purchases. I will not sell or share your info and I won't spam you either. BEFORE YOU ORDER CHECK SIZE AND SHIPPING TIMES! We just can't help using cat puns. Like YOU we love cats so much! We promise not to spam you or share your info.